Cholera is an intestinal infection which shows symptoms such as diarrhoea, vomiting and muscle cramps. It is usually contracted when consuming unsafe food and water and when travelling to countries with poor hygiene facilities, as well as areas that are particularly vulnerable to natural calamities such as floods and rainy seasons. While it is very rare for tourists to contract cholera, as they don’t generally visit areas where there is an outbreak such as slums and refugee camps, when travelling to certain areas it is always important to be protected by getting vaccinated. Cholera is preventable in different ways. Safe eating and drinking, as well as frequent hand washing, can prevent the disease as it is transmitted through contamination. Make sure you only ever drink bottled water and packaged foods. Before travelling to any of the risk areas mentioned above, make sure you get vaccinated for cholera and any other disease that might be present in your country of destination. 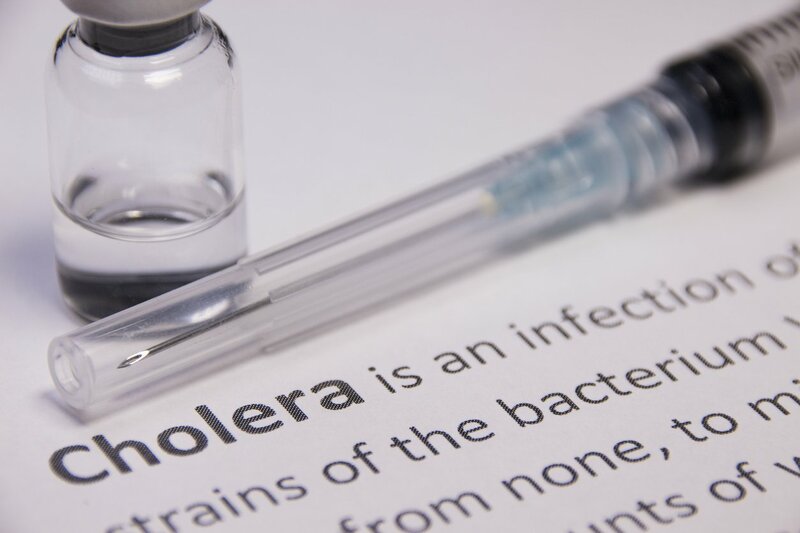 If cholera is contracted it is important to make hydration the top priority along with contacting a health professional and telling them which countries the patient has recently visited. Antibiotics will have to be taken to avoid fluid loss and shorten the illness. Before travelling to any areas at risk of Cholera make sure you ask your travel clinic or doctor for further advice according to where you are going. Enjoy your travels and make sure to check out our FREE travel advice page for some more useful information!